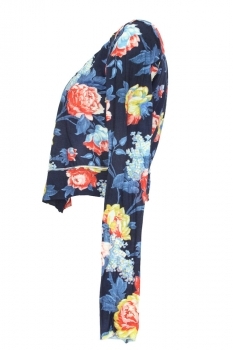 High 'Cardigan' stretch, printed cotton jersey short cardigan. 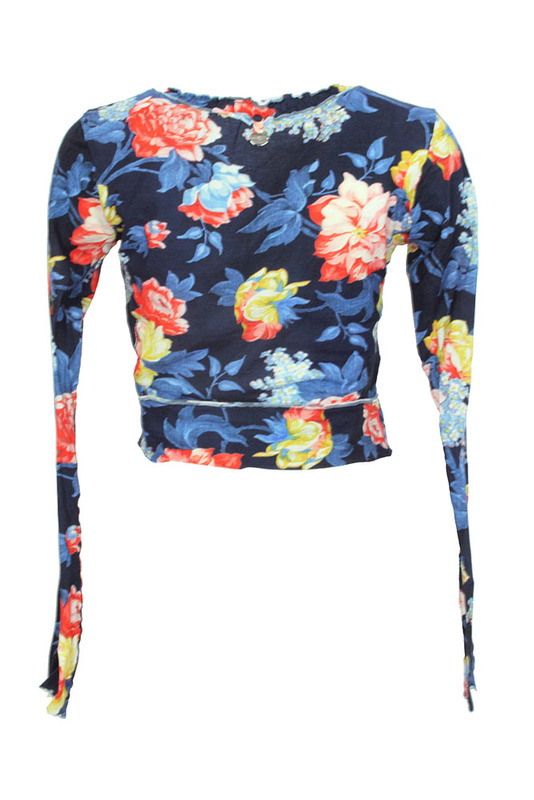 Flower print jersey. Elasticated round neck with layered trim, 2 layers of raw edged jersey with cream lace between. 5 button fastening. White with blue pinstripe placket. Deep hem panel with rolled seam detail. Cuffs are raw edged and rolled. Metal 'High' tag at rear of neck. A beautiful little cardigan top.